In our premium products you have a Batch QR Code Generator or a Bulk Import function that allows you to create a large number of QR Codes at once. In the batch creator you can create mass QR Codes with just one click. Each QR Code is personalized. This is accomplished by encoding a unique id in each QR Code. You can also create batch QR Codes by importing a list of URLs from a .csv file. In the .csv file you can set the target URL, an optional description and an optional short URL for each QR Code. With the Batch API you can create QR Codes programmatically or directly embed QR Codes on your website. For each created QR Code you will receive a JSON response. 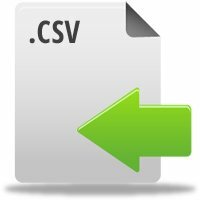 Moreover you can import contacts from a .csv file (e.g. Outlook Export) and create static vCard QR Codes or mobile business cards out of them. You can create a batch of vouchers with a unique QR Code that can be redeemed only once. After you have created your QR Codes, you may download them at once in a .zip file. All QR Codes are available in .eps, .svg or .png format. With a Premium Account you can create up to 100 QR Codes at once per user. If you want to create a higher volume of QR Codes please get in touch with us.